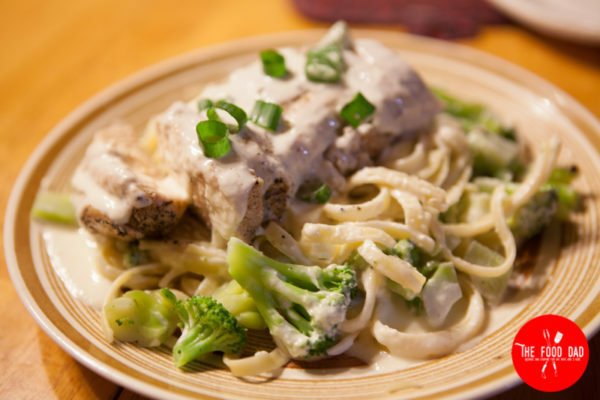 This Alfred sauce is so good and makes for a perfect Chicken Fettuccine Alfredo. You could even add a little cajun season on top to create Chilies Cajun Chicken Pasta. My Grandma made this all the time while growing up and honestly once you try it you can’t ever go back to the store bought Alfredo sauce. Not only is it easy to make it only takes a few ingredients. If you want perfect chicken to go with it make sure to check out my sous vide chicken breast perfect every time. In a large saucepan over medium heat combine cream cheese, parmesan cheese, butter and milk.